“Ah, don’t worry, they get it all the time, will settle on its own” reassured the daycare centre worker to my sister, who was worried about the cough and runny nose troubling her son. This was in the UK two months ago. Almost about the same time, my son (in India) started having his own episode of a respiratory infection. I remained my usual frugal in prescribing medications. His day care centre’s manager, though, rather strongly suggested that he be started on antibiotics “because he has runny nose”. I didn’t budge. I see such a stark difference in approaches by two day-care managers as a reflection of the way the two societies have evolved in dealing with health. One that is willing to wait and watch where necessary, and the other that is pro-active, probably way beyond necessity. What is the general belief? Many in India believe that every symptom of an illness, however minor, needs a treatment. I’ve known friends (including doctors) and colleagues who resort to use of antibiotics at the slightest indication of a cough or a sneeze. The situation is not helped by the ease with which one could buy antibiotics over-the-counter. I wonder if the wide spread beliefs in alternate hypotheses of diseases (such as Ayurvedha), and the omnipresent, supposedly beneficial home remedies for every symptom, have made us a society that is trigger-happy in using medications. Going by the accounts from various parts of the world, we are not alone. 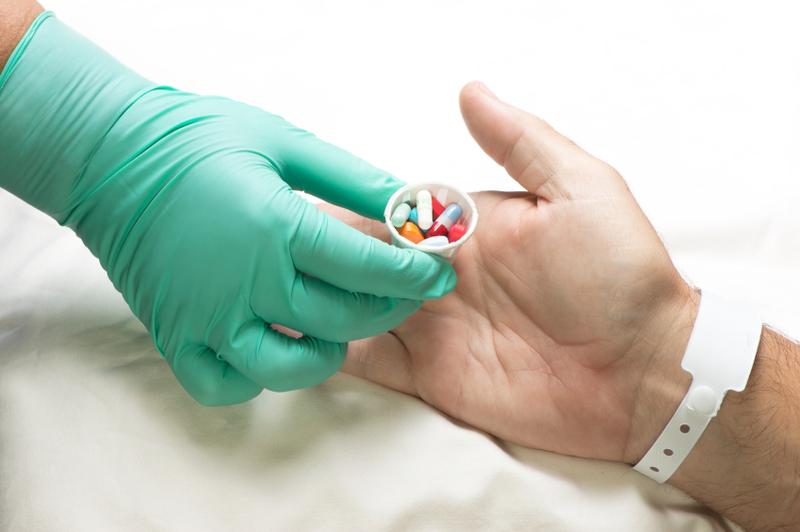 Indiscriminate use of antibiotics is reported to cause more harm than benefits. (1) Using antibiotics to treat illnesses that would subside without treatment could result in dangerous drug-resistant bacteria. Should healthcare professionals take the lead to correct the situation? Or should we educate the society first? That is one more tricky chicken and egg story. What is the scientific evidence about this? The patient is provided with an opportunity to explain to the healthcare professional all concerns related to the illness, and the preferences about management of the illness. The healthcare professional interprets and explains the best available scientific evidence to the patient/family members, so that they understand available treatment options. Potential benefits versus harms of each management option is explained as well, using data from actual good quality health statistics in the form of “decision aids”. The patient then makes the decision about the management option, with adequate help from the healthcare professional. What was the key question asked in this Cochrane systematic review? Do interventions that aim to facilitate ‘shared decision making’ reduce antibiotic prescribing for acute respiratory infections (cough, sore throat, ear pain) in primary healthcare settings. What were the findings in this review? An estimated 32% to 45% reduction in antibiotic prescribing for acute respiratory infections was observed with interventions to facilitate ‘shared decision making’, when compared to usual health care without such specific efforts (risk ratio 0.61, 95% confidence interval 0.55 to 0.68). The quality of this evidence was reported as moderate (on a 4-level scale high, moderate, low, very-low). This reduction in antibiotic use was achieved without a decrease in patients’ satisfaction with the consultation, or an increase in repeat consultations for the same illness. Six of the studies involved training clinicians in communication skills that are needed to facilitate shared decision making. In three studies, patients were also given written information about antibiotics for acute respiratory infections. 10 studies (randomised controlled trials) involving 1100 primary care doctors and around 492,000 patients contributed data. The studies were conducted only in European countries and in Canada. Shared decision making holds promise as a possible solution to reduce the perils associated with indiscriminate use of antibiotics. If we could take the liberty of extrapolating this information, healthcare professionals and people in general should make concerted efforts towards arriving at key health related decisions after a meaningful dialogue, invoking best available scientific evidence whenever possible. *These blog posts are personal opinions of the author, and are not intended to be directly used as healthcare guidelines. Reader discretion, as always, is recommended. 2.Coxeter P, Del Mar CB, McGregor L, Beller EM, Hoffmann TC. Interventions to facilitate shared decision making to address antibiotic use for acute respiratory infections in primary care. Cochrane Database Syst Rev. 2015 Nov 12;11:CD010907. Next Methylphenidate: more attention than it deserves? In India the patients belief and understanding are very different. Will this shared decision making will be able to change there belief!, if so are there any strategies to use keeping in mind the knowledge and education of the patients in India. Thanks Rojer. You probably didn’t notice that I mentioned Utopia. Of the few things that have not been banned by the current regime, yet, wishful thinking is one. I hope it continues to remain free. I am having a great difficulty in making the patients understand about what the current evidence say, and after the explanation they still choose what they believe in. Many times they do feel better when they get what they want as an placebo(sometimes i get confused whats happening. May be i am yearly in my career so having more difficulty with applying the evidence. Rojer, you are doing right. What’s the confusion. Our role is to explain the options to the patients. Then they choose what they feel is right (even if they choose an option which you may not). That is the goal of shared decision making- where the choice is that of the patient, and not that of the healthcare professional.